It appears that every year, when we sheep hunters come down with sheep fever and want to plan a sheep hunt; we have to first look for blessings from our other halves. What if I was to suggest a sheep hunt that not only will not require prior approval but will instead be encouraged by your spouse? 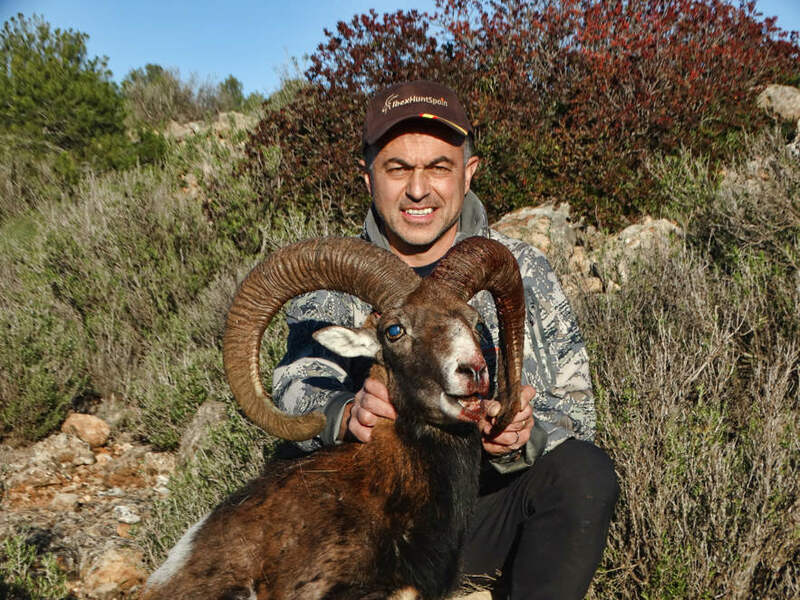 That hunt would be for no wild sheep other than a European Mouflon on the Iberian Peninsula. Why, I shall explain. You see, if you were to go on such a hunt, while you are climbing the Limestone strata’s of the “Sierra’s” in search of your quarry, your spouse can relax in one of several “Paradores” or other wonderful inns, tasting the local food/wines, visiting the numerous historic/cultural sites of this culturally rich and diverse country and, indulge in some of the best shopping experience there is to be had in Europe. 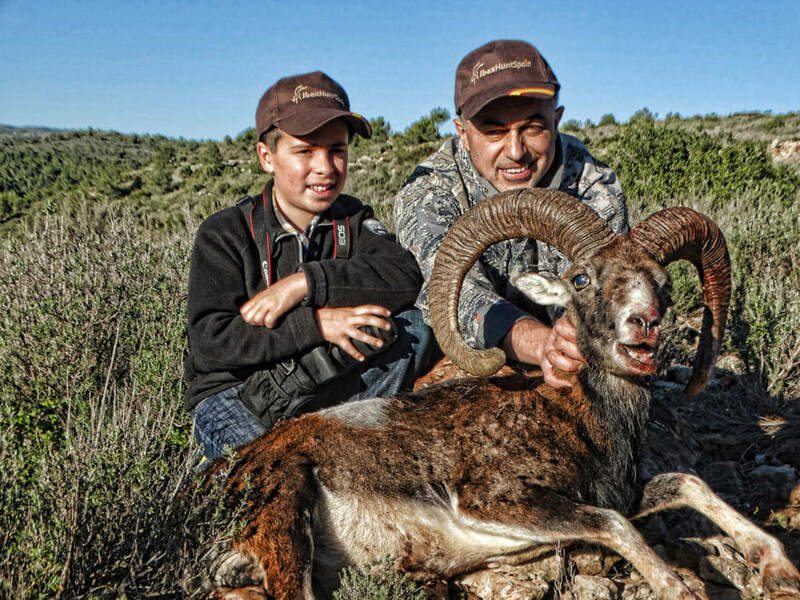 Back in the nineteenth century and all the way to days of post civil war, hunting the wild Mouflon and the Ibex of Spain was reserved for the royalty or the “haute society” if you wish. With the advancement of democracy which infiltrated all aspects of the Spanish society, that is no longer the case. 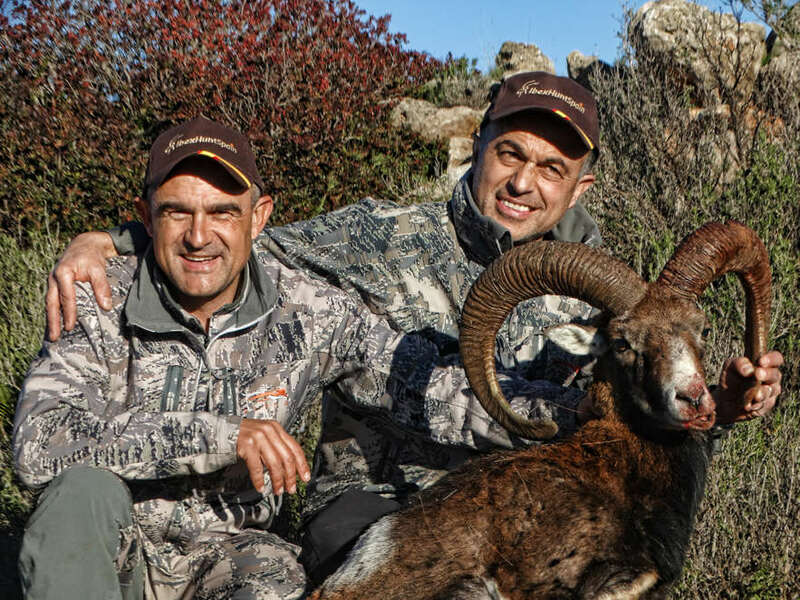 Sportsmen/women can now book hunts for at least 7 varieties of mountain game including the Mouflon, the four Ibex group and two varieties of Chamois. For yours truly who is enamored with all members of the ovis family, the European Mouflon has been on top of the list. Each to its own but I must make it clear here that a fair chase hunt for any game animal has to take place with the game animals roaming free and not enclosed by fences. Any other form is considered absurd and at best shameful. This year, after my dear wife expressed interest in visiting her family in Northern Spain for the Christmas holidays, I found the timing right to kill two birds with one stone. I immediately wrote to my good friend Valeriano (aka Vale) who owns and operates Ibexhuntspain and asked him to apply for a tag for me. It wasn’t until late spring that he came back to me saying that he had obtained one of the eight tags available for a trophy Mouflon. For your information, there are only four areas in Spain that hold healthy populations of wild free roaming Mouflons, worthy of a harvest. These would be “La Muela de Cortes”, “Cazorla”, “the Pyrenees” and a small population in “La Serania de Cuenca”. The largest trophies come from “La Muela de Cortes” and the Pyrenees. My tag was for the former area and I was given three days to hunt there for a trophy Mouflon. The dates had to be pre arranged with the Provincial government and the game warden for the area. He would also have to be present during the hunt and would accompany me, ensuring that I only take out a ram past his prime. After a two legged Trans Atlantic flight to Amsterdam and then Madrid from my home town of Calgary, our family of four found ourselves in the super rapid “Ave” train, clocking 330 km/hr to the coastal city of Valencia. 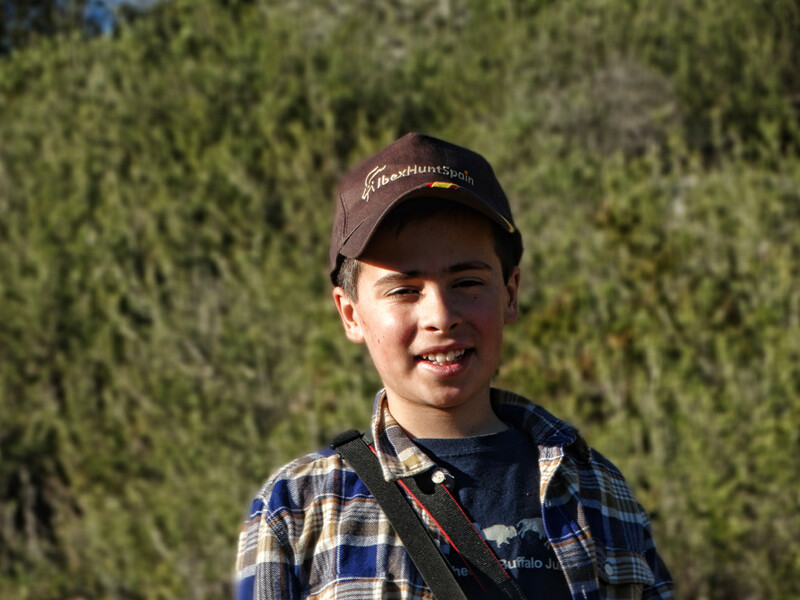 Vale met us all at the train station and after dropping my wife Eneida and our younger offspring Miguel in Valencia, our trio which included my 12 year old son Sergio, headed for the little town of Bicorp, some 2 hours away in the mountains. Vale had made previous arrangements and we would stay in one of the two government owned charming wood cabins above town. Bicorp is a sleepy little agricultural town in the “la cordillera montañosa” foothills and the only two bars serve its population of no more than 500 with coffee, drinks and all meals. At supper, a quick phone call brought one of the local hunters to our table. Vale knew him well and we wanted a firsthand report on the game. Sleep came quick as we had fought the jet lag and before we knew it, we were dipping our ‘Magdalenas’ (muffins) in our Café con Leche in the bar the next morning. The game warden showed up with the local hunter and we were told that because of the extremely warm weather, the animals were spending most of the day in the shade and very few heads of game had been spotted or taken. We all hopped in Vale’s Turbo diesel Nissan which by the way has a manual 6 speed trany (right up my alley) and burns no more than 9 liters in 100 km (27 MPG for you in the lower 48!). For this hunt, because I had family travel plans after the hunt, I had decided to borrow all gear (except clothing) from Vale. We drove up the mountain and found a suitable spot in the hills to fire a couple of shots out of his Rem 700 rifle chambered in the spicy 270WSM caliber. My POI at 100 yards hit 4” above bulls eye (which indicates a 350 yard zero with a 6” mid range rise) and although I am partial to a 200 yard zero, I wasn’t going to fool around with his settings and took a mental note instead. We then drove up to a clearing further up and started hiking to the top of a mountain. This was a favorable vantage point to glass for game. Tracks and droppings were seen but no Mouflon which indicated they had been feeding at night. We came back to the truck, drove to another spot, parked the truck and started walking down a cut line that was on a ridge with great vistas of the adjacent drainages. Our cadence was slow and deliberate so that if there was game present below us, we would not spook them. After about a 2 km walk and constant glassing, all of a sudden, I noticed 3 Mouflons going up a small draw cross canyon. We quickly dropped to the ground and the field glasses indicated a trophy ram sandwiched between a ewe and a younger ram. The game warden gave the blessing and I put the pack down, laying prone for a shot. The range finder read 200 meters. The Mouflons were all on a slow deliberate trot, trying to leave the country. Although the ram was only partially broad side as he was slowly climbing, I realized quickly that I had very little time to shoot and with the cross hairs behind his shoulder, I launched a 130 grain spritzer his way. Upon the report, the ram jumped and bolted sideways towards the bottom of the hill. The other two continued on their path and soon disappeared over the skyline. In order to mark the last location of the ram properly, I stayed behind and the rest of the party walked down and up across the canyon. This way, I would be able to give them hand signals with the exact location of where the ram last stood. Upon arrival at the “Anschuss”, we looked, searched and pondered for over 3 hours, not seeing any signs of a dead or a wounded Mouflon. At this point, the game warden which up to that point believed we have our trophy, determined that we had made a clear miss and we were to soldier on. Once we reached the truck, we drove to a beautiful spot which overlooked Olive groves and Almond orchards in every direction. A “bocadillo” of “Jamon Serrano” (cured ham) and Manchego cheese together with a hand full of cured olives washed down with a couple of Valencia Clementines made for a perfect late lunch which is very customary in Spain. The rest of the afternoon all the way thru to dusk was spend glassing several drainages which historically hold game. Not a single ram or ewe was to be spotted and we returned to our cozy cabin with somewhat of a broken spirit. Over a supper of lamb chuletas and Salchichones, Vale raised his glass and we all had a toast to a great day In the field sans a ram. He then said: Even Raul (One of Spain’s recent soccer superstars) misses a penalty once in a while, referring to my missed opportunity on that Ram. That sentiment raised my spirit! Next morning, I was up in the dark, ready to roll before sunrise. It was right at this moment that Vale told me: “Our Mouflons are like our people. They sleep in and are late risers. They will only start feeding after the sun has dried the mildew off the plants and the grasses”. This gesture gave me a good chuckle and I let my guards down, asking for a second Café which by the way goes down your pipe as smooth as silk. Around 8:30 am, the sun was just up as we grabbed our lunch/gear and headed for a different area which included many dry river basins and rolling hills. Let me elaborate a bit on the flora and a tad on the Mouflon. The variety of plants and trees in this part of the country which receives its usual share of the Mediterranean moisture is beyond belief. Eucaptilus trees, several varieties of small conifers and junipers, and a vast collection of wild grasses and flowers decorate the landscape. The feed is plenty and the sweet and pungent aroma of wild Rosemary (Romero) is intoxicating. The tiny wild Mouflon which stands at 30” max at the shoulder, weighing 100 lbs at the most (for a ram) can easily maneuver his way through this tall vegetation without being detected. This to me is the most difficult part of finding a good ram. According to my dear friend Dr. Valerius Geist, his genetic blueprint goes back to the Red Sheep of the central Alborz Mountains of Persia where I was born and hunted with my late dad/uncle as a child in the 60’s. They are browsers as well as grazers and drive out the competition fiercely with their aggressive behavior. They seldom live past 10 years of age. Unlike our North American wild sheep which are mostly found in open basins, giving the hunter a chance to glass and evaluate their trophy status, the wild Mouflon only shows shadows of his magnificent body and his head gear, similar to the behavior exhibited by our own Whitetail deer. For this reason, you have to be more patient and as the late Jack O’Connor once said: “You have to hunt mostly with your glasses”. The diesel Nissan took us to a washed out trail and from there, we set afoot, hiking to a vantage point with the sun behind our backs. The wind was calm and in our favor. After about 30 minutes of glassing thoroughly, we suddenly spotted a patch of reddish hide between two trees. Patience paid off and a head of a magnificent Mouflon finally appeared. I was in joy and told myself: please don’t screw this one up as there is only one more day left for the hunt. The ram was about 500 yards away but was headed towards a small clearing which would potentially offer a shot. Vale and I quickly hunched down and walked thru the bushes to a small pile of football size rocks. There were no trees to use as a rest and I decided to lie down on the bumpy rocks, put my pack down and get ready for a shot in case the ram appears in the clearing. Having been in this situation before, I made sure I only looked thru my scope and not my field glasses as the shooting may have to be done fast and furious. 10 minutes went by and I was praying to sheep Gods for a miracle to keep the ram on his intended track. (remembering the spitzer’s high trajectory) looking for an opening in the brush to find his brisket and slowly squeezed the heavy Remington trigger. My spritzer flew true and the ram collapsed where he stood. Both Vale and I jumped in the sky, giving each other high fives and handshakes. Upon arrival at his gorgeous body, we realized we had just killed a great specimen; an 8 ½ year old ram with broomed horns, perfect symmetry and worn out teeth indicating his senior status. Picture session and a short prayer followed and we got down to the business of caping the ram and cutting the meat. Upon arrival at Bicorp around 1:00 pm, we were greeted by some members of the local hunting club and I treated everyone to a nice lunch and cold beers. I felt lucky and blessed to have come across an old ram in difficult hunting conditions due to the warm temperatures. The game warden told me this was the best ram that had been harvested in that area this year. After a relaxing lunch, we said farewell to the locals, thanking them for their hospitality and cooperation in helping me connect with my dream Mouflon trophy. If only hunting with a 60 lbs backpack on your back on a steep 30 degree precipe cranks your wheel s (I like that too), then forget about chasing a Mouflon. 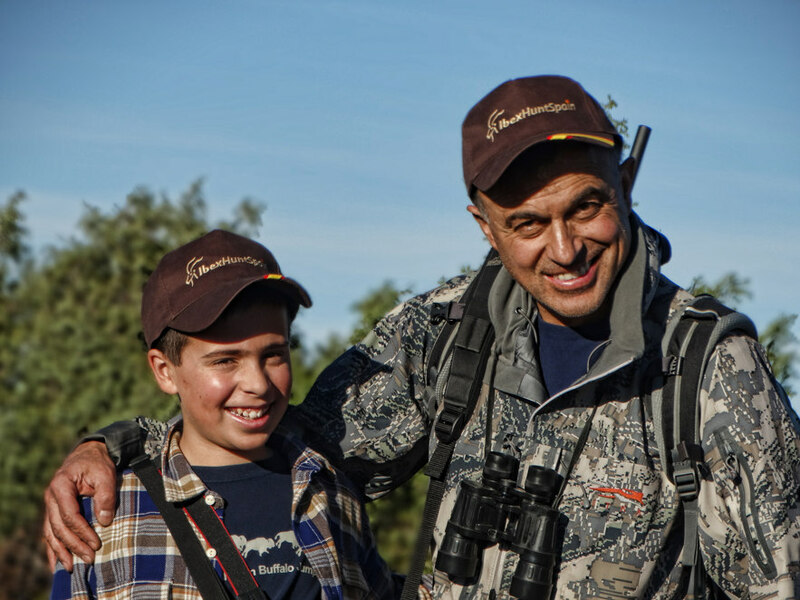 But if you are a sheep aficionado and value every sheep hunt in whatever setting they exist, and, you would be open to enjoy a cultural experience as well as scrumptious food, then I guarantee you will have a blast. The drive back To Valencia which was now during the day was simply spectacular. Miles and miles of Orange groves, Persimmon trees and you name it edible, caught our attention. The drive was even more divine now that we had a trophy Mouflon in our possession.